Vladyka, have there been cases in your own life, or in the lives of people close to you, in which a book has radically changed your life? This happens, after all. Why is it that books can change someone’s life and worldview? Indeed, I know of many cases when reading a book has, if not changed someone’s life, then at the very least had a very strong influence on it. Moreover, this can happen with any kind of book, not just with the Gospels or spiritual literature. For instance, when I was young I knew several people who, having read The Master and Margarita – a book of excellent literary quality, if otherwise quite questionable – became so interested in the subject of the Gospels, which was practically unheard of then (this was in the late 1970s and early 1980s), that it caused them to seek out and read the Gospels. Many of them became believers; I can remember this happening to more than just one or two people. Here the proverb says it all: “An egg is dearest on Pascha.”  When a subject is in demand, even a controversial book can provide the small shocks necessary to set off an avalanche. I myself have read, and continue to read, a great deal. In my case, it so happened that my mother accustomed me to reading, at first even forcing me. My mother’s friends had a very good library, a typical library for Soviet intellectuals in the humanities, with the collected works of classics by Dickens, Balzac, Dumas, Pushkin, Dostoevsky, Tolstoy… Later I began to wonder how I managed to endure it all: Mother forced me to read not just individual pieces, but their collected works, volume by volume. Fortunately, I was relieved of the duty of reading their letters – back then I could not understand why they were published. It is only now that I understand that letters are the most interesting things in collected works. I read so many books, and at some point became so engrossed in reading, that Mother had to limit me. I read during class and under the blankets with a flashlight. Probably the funniest moment happened in seventh grade, when I was caught reading the next volume of Balzac’s collected works in class. The book was under my school desk. The teacher picked it up, looked at it and at me, then respectfully handed it back. I learned to read quickly and became nearly omnivorous. Then came the philological faculty, where I read what the program assigned: Russian, foreign, and contemporary literature. I signed up in five or six city libraries, from which I always checked out quite a few books. I mention all this to make it clear that I have a fairly large experience of reading; I am, I hope, knowledgeable about literature and have a taste for reading. Therefore, I remember very well the impression that the first patristic books I read made on me. These were Abba Dorotheos, The Ladder of Divine Ascent by St. John Climacus, and Bishop Ignatius Brianchaninov’s Paterikon. After I read these three books – this was during my first months of seminary – I told myself: fine, from now on I won’t read anything else. In fact, for a long time I read nothing but spiritual literature. Several years later I gradually began to read again, first of all rereading the classics. Therefore, I can testify from personal experience that a book can have a substantial effect on someone. Why? Because the book is the optimal educational tool developed by human culture. One can learn a great deal from good books. One can, first of all, obtain an essential education of sentiment, something that non-readers have no way of getting elsewhere – certainly not on the Internet, with its constant abusiveness and its meager and often coarse lexicon. By reading the classics, one gains the ability to understand such lofty ideals as friendship, love, honor, loyalty, courage, and heroism. Although today this probably seems ridiculous to some… Moreover, it is an entry into the world of human history, which places one concretely within the historical process, since the classics are always historical. Books are, among other things, important tools for understanding the world. It is one thing to have a child learn something in school – say, geography or history. He is required to memorize various names, highest elevations, natural resources, dates of battles, names of tsars and generals with their dates, and so on. It is, of course, very difficult for children or adolescents to get interested in any of this. But books – whether fictional, historical, or educational literature – broaden one’s mind, creating a context in which all this is remembered in a natural manner. It is one thing, for instance, to learn biology from textbooks and quite another to learn it from books by Gerald Durrell. Therefore, literature, in my opinion, is not just a part of human culture – it is its foundation. Perhaps someone will argue with this, but I, as someone biased towards the humanities, think that this is the case. Unfortunately, when talking with young people today one sees that the vast majority of them have never had the opportunity to learn how to read books. When someone does not love to read, when he has not grown accustomed to reading, this is not simply sad, it is tragic. I know a large number of wonderful young people with excellent instincts whose development nonetheless ended in the seventh grade of middle school. They cannot rise above this level because they have not grown accustomed to reading. There are, unfortunately, more and more such people today. Is it possible to teach someone to read if he has not acquired the skill or habit of reading in childhood or youth? What is your experience as the rector of a seminary and former superior of a monastery? This was possible in the monastery, because people who enter monasteries are more inclined to obedience. I gave a blessing – “Here is a book for you, read it!” – and then he read it. Unfortunately, this works much less well in seminary. I will therefore say that it is possible, but difficult. After all, it is very important that parents “seize the moment” when a child might become interested in reading. Does the reading of Holy Scripture differ from other reading? When reading Holy Scripture, especially for the first time, it is essential to understand what it is, what kind of book it is – so as not to put it in the same category as The Iliad or The Odyssey, or some other ancient tale of bygone days. One needs to understand this book’s place in the history of human civilization. Before opening the Bible, therefore, one should be sure to read something about the Bible itself, about the history of its formation, as well as about the basic content of the books included in its canon. Moreover, one needs to understand that the New Testament – the Gospel – cannot be read like an ordinary narrative. It happens that one can read a book, even a very good one, once through and then put it aside. “Have you read War and Peace?” “Yes, in ninth grade.” But one should read the Gospel continuously throughout one’s entire life – then new facets of this Book will be revealed with every new reading. Holy Scripture requires much greater attention than do ordinary books. When we read an ordinary book, especially if we are good at reading quickly, we might try to rush through the story as quickly as possible, perhaps even skipping over certain “extras” such as descriptions of nature or battles. However, All scripture is given by inspiration of God, and is profitable for doctrine, for reproof, for correction, for instruction in righteousness (2 Timothy 3:16). Every word, every phrase, has a definite and profound meaning ­– not just in the literal or narrative sense, but spiritually. For this reason there is a vast reservoir of interpretation (exegesis) of Holy Scripture. The Lord Himself spoke in the Gospel of the need to “search the Scriptures” (cf. John 5:39). Christian exegesis takes place simultaneously with apostolic preaching: no prophecy in Scripture can be interpreted independently. No prophecy of the scripture is of any private interpretation. For the prophecy came not in old time by the will of man: but holy men of God spake as they were moved by the Holy Spirit (2 Peter 1:20-21). Scripture, therefore, can be seen in all its fullness only within the context of patristic interpretation. Someone who is just becoming acquainted with the Church’s life and teaching should, of course, first read the New Testament and only then read the Old Testament, even though they are in the opposite order in the Bible. It is very good to read the commentaries of St. John Chrysostom on the Gospels according to Matthew and John and, if one has the patience and energy, his commentaries on the Epistles as well. There is the practice, recommended by quite a few people with spiritual experience, of beginning one’s day with the reading of Holy Scripture – if only a few chapters of the Gospels. One should literally feed one’s soul with them, so that the Gospels might guide one in all the situations of life. Besides which, people do indeed feel tired in the evening – literally overloaded. The classical European tradition included reading the Bible as a family in the evening – which, incidentally, found expression in both literature and painting. Alas, this tradition belonged to other times, when life was more balanced. Their daily labor may have been physically difficult then, but their heads still remained in relative peace – unlike in today’s “information society,” when we hardly know who or where we are by the time we get home. In my opinion, therefore, it is best to read Holy Scripture at home in the morning. Sometimes people taking public transport read serious books. This depends more on whether someone is good at attentive reading. If one is, then one can read on the go – this is certainly better than just looking around. Which books, in your opinion, should every Christian read? One should certainly read Abba Dorotheos, the Russian ascetic strugglers Sts. Theophan the Recluse and Ignatius (Brianchaninov), and then The Philokalia. Properly speaking, The Philokalia is an anthology of patristic texts. I think it is impossible to tear oneself away from the first four volumes of The Philokalia. 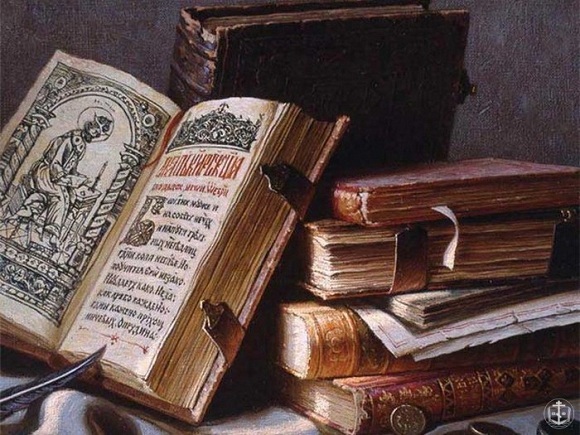 In St. Theophan the Recluse’s Russian translation, The Philokalia is suitable reading for all Christians, since St. Theophan attempted to adapt even the most difficult monastic and hesychastic texts for use by average people. Therefore, notwithstanding the misconception that The Philokalia is only for monks, it can and should be read by everyone. When becoming acquainted with spiritual literature one should start, as with regular literature, with the classics: first read the fundamental, essential works of the Holy Fathers, and only later read books by modern authors. There are, for instance, some very good books by Elder Paisios of the Holy Mountain that have entered our life fairly recently. According to St. Ignatius (Brianchaninov), spiritual instructors have grown scarce. In our times, therefore, we should “live under the guidance of patristic writings.” Does this mean that we need to learn the spiritual life primarily from books? That goes without saying. It is indeed impossible to assimilate any of the basics of the spiritual life without reading the Holy Fathers, even with spiritual instructors – even good ones. Not even the most extraordinary Elder can know everything. But the works of the Holy Fathers are an encyclopedia of spiritual experience. It is no secret, after all, that everyone is different and that there are many paths in the spiritual life: one thing is within the grasp of some people, while another is within the grasp of others. Therefore, reading the Holy Fathers is a virtue that is mandatory for monks and very desirable for laypeople. The difference between spiritual literature and other literature is that with the former one should not only read it, but also put it into practice. How does one learn to do this? What should one pay attention to? Still, the most important difference between them is that even the most profound classical literature is still fiction, of varying degrees of success, even when it is about very important things (“typical characters under typical circumstances”). It is, if you will, a genre of parables, just very well developed. But spiritual literature is the word about God; it is an illustration of the Gospel. These are people who were able to follow the Gospel commandments in their lives; they did not simply read Holy Scripture and wonder out loud: “My goodness, how well-written, how well-said!” They accomplished it in practice. Take the life of St. Anthony the Great. Look at how he heard the words of the Gospel in church: Go and sell that thou hast, and give to the poor… and come and follow Me (Matthew 19:21). And then he gave up everything and retreated to the desert. This is completely inconceivable to our mindset today! Indeed, one does not find such many cases at any point in Christian history – but they are nonetheless real. When entering the realm of patristic and spiritual literature, therefore, the main thing to bear in mind is that here we have the word about God, here we have “theology.” The Gospel is God’s own word. We must strive to treat it just like St. Anthony the Great, to the extent to which we can bear it. Interview conducted by Natalia Gorenok. I.e., something becomes valuable when needed. Two translations of the works of Abba Dorotheos exist in English: Dorotheos of Gaza: Discourses and Sayings (Cistercian Publications, 1979); and Practical Teachings on the Christian Life (University of Athens, 2002). Two English translations of St. John Climacus’ work likewise exist: The Ladder of Divine Ascent (Holy Transfiguration Monastery, rev. ed. 2012) and John Climacus: The Ladder of Divine Ascent (Paulist Press, 1988). The Paterikon (Otechnik) of St. Ignatius does not yet exist in English, but The Sayings of the Desert Fathers (Cistercian Publications, rev. ed. 2006) is very similar in content. The four volumes of The Philokalia: The Complete Text (Faber & Faber, 1979 ff.) are translated directly from the Greek text. Two volumes translated into English from St. Theophan’s Russian version also exist: Writings from the Philokalia: On Prayer of the Heart (Faber & Faber, 1951) and Early Fathers from the Philokalia (Faber & Faber, 1954). 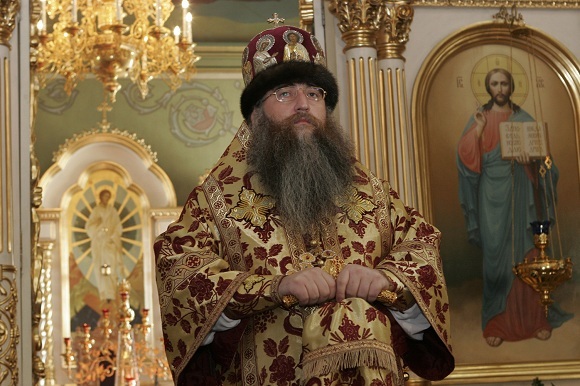 For Abbot Nikon, see Letters to Spiritual Children (Nikodemos Orthodox Publication Society, 1997); for Elder Paisios, see his Epistles (Holy Monastery “Evangelist John the Theologian,” 2002). A reference to Friedrich Engels’ characterization of literary realism; see his letter of April 1888 to Margaret Harkness.